When I looked at “Juice Fasting” in wikipedia I was surprised. Mostly because I thought more could be written about the subject. 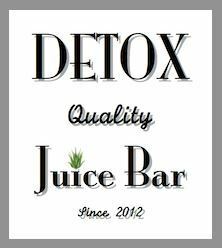 Juice fasting or juice cleansing has been around for some time now, it’s not new. Many people have tried it and some believe in a “juice fast” on a regular basis. Wikipedia refers to Juice Cleansing as a “fad diet” but I don’t agree. Many people do not think of this as a diet at all. Juice fasting is something you can incorporate into your life to help cleanse and remove excess toxins from time to time. Most people loose weight but not all. But any weight you loose will be bad weight right. I am a firm beleiver that if more people just drink juice on a regular basis their doctor visits will decrease. And, you will feel better.